In early March, SparkFun and Helium partnered up to bring better connected IoT devices to a wider world by offering individual parts and kits on the SparkFun website. But who is Helium? What do they do? Why did they decide to create this line of products? These questions and more are answered today! Take a seat, and find out more about the up-and-comers of the Internet of Things movement. What need did you see in the market? In June 2013, Amir Haleem and Sean Fanning (of Napster fame) were trying to solve a problem with sensor data. The specific question was, “How do we count the number of people walking past a store window in real time?” Wiring up a sensor to count people wasn’t the hard part. Getting the data back to the Internet in a reliable, inexpensive way, however, proved to be complex. The likely connection options at the time - WiFi, Bluetooth, and cellular - were not a fit due to client connection limitations, range, and cost for a data plan. They realized this was a big problem, and soon after Helium was founded with a mission to help developers and enterprises solve the connectivity problem for sensor-based applications. How did you approach prototyping? When starting a new project, always start with the nebulous ideas: “How do I find ‘X’ ?”, or “How do I get this data?”. It often turns out that getting the data in a single instance is not very difficult, but the continuous monitoring is much harder. Answering the initial "how" will help users source the hardware required, and then prototype development can begin. Finding a reference point for a prototype involves slightly more digging around the web and reading. Look through open source projects for guidance, and if that fails, dig into the whitepapers. What were major points of success or benchmarks in the building of the company/product? For us to be successful, our platform needs to perform better than existing wireless protocols for our target use cases and customers. 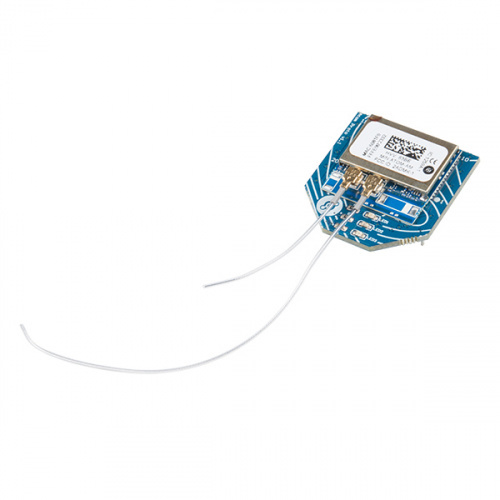 Early on we proved that our wireless and security implementation - embodied in compact hardware modules - was superior to existing LPWAN alternatives, and we continue to extend our capabilities in this area with each new release. But Helium is not just an optimized connectivity layer. Our platform also simplifies IoT projects by providing a complete, cloud-based infrastructure to manage delivery and security of device data once it’s captured and transmitted from the edge. Our main mechanism here is Helium Channels. They automate the process of wiring up hardware-authenticated connections to major cloud providers at scale. When this feature was rolled out, the user feedback was extremely positive and we knew we had solved a hard problem. For company milestones, we’ve been able to partner with numerous investors who believe in our vision like Khosla Ventures, GV, and Firstmark Capital. To date, we’ve raised over $34.5MM in funding from them and other top-tier institutions. What do you hope your users are able to achieve by using your product? Helium’s users - from Fortune 500 enterprises down to hobbyist developers - rely on our platform as an essential, stable piece of infrastructure for their IoT strategy and projects. Companies and developers using Helium hardware and software realize faster time to deployment and a lower barrier to entry when developing sensing applications. And once in production, they achieve a higher level of reliability than competing offerings. Any extraordinarily cool use cases you can share? Wallo uses Helium in their product to create community monitoring and control systems. Their first product deployment will control home access and gates. Along with Helium, they are using Raspberry Pis and the Google Cloud IoT platform. We recently did a webinar with them covering their application in depth. Smart agriculture is another area where users are testing and deploying Helium. The team at Twilio recently built an application to monitor and alert based on a home garden, and similar systems are being explored on Helium by amazing organizations like Code for Africa. On the enterprise side, in-field product monitoring and building management are two of the areas where Helium is being deployed successfully. To monitor product state in the field, a Helium module is built into a sensor that transmits telemetry data (e.g. fill level and location) back to a cloud application that then automates deliveries of new stock and improves customer experience. For building management, organizations like WeWork have seen success capturing real-time environmental and space utilization data for use in internal and customer facing applications.